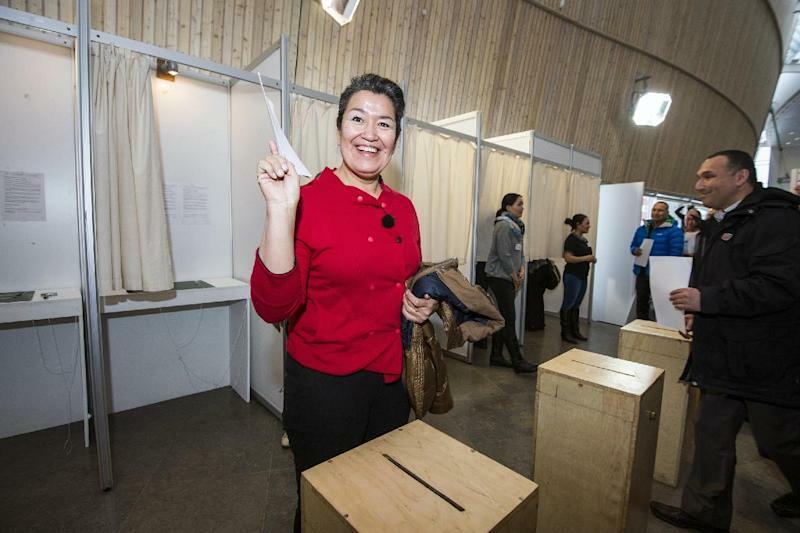 COPENHAGEN, Denmark (AP) — Greenland is poised to get its first female prime minister after a centrist party that supports tapping the Arctic island's vast mineral wealth, including uranium, won national elections, a complete vote count showed Wednesday. With all votes counted, Aleqa Hammond's centrist Siumut party won 42.8 percent and 14 seats, while incumbent Premier Kuupik Kleist's left-leaning Inuit Ataqatigiit mustered 34.4 percent. The social democratic Siumut gained more than 16 percentage points since the last elections in 2009, while IA saw its support drop 9.3 points. "I am very, very happy. I am thrilled as party leader," said Hammond, 47. "I am glad that Siumut is back." 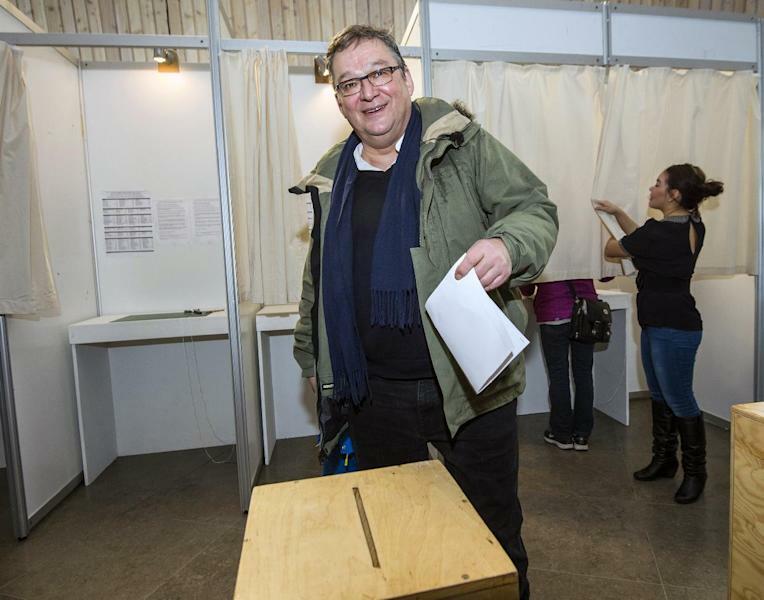 Kleist conceded defeat in the battle for control of the 31-seat Parliament. 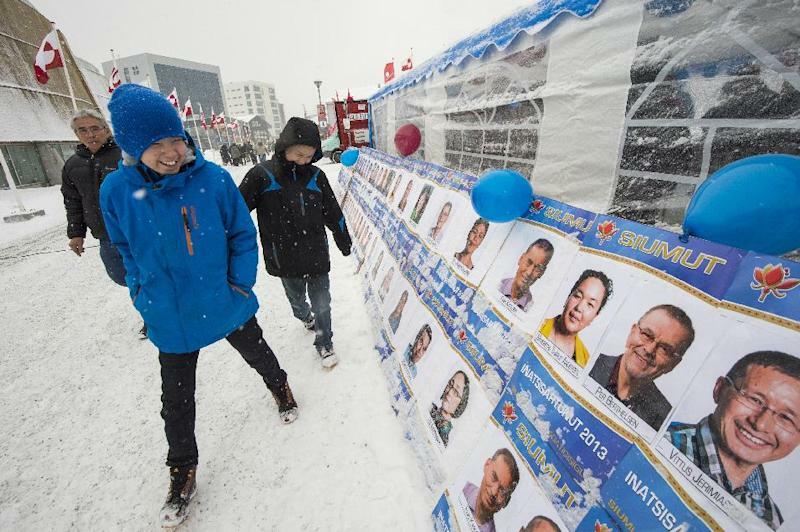 Hammond's party ruled for three decades and was ousted four years ago when Inuit Ataqatigiit grabbed the power for the first time since 1979, the year Greenland acquired semi-autonomous status from Denmark. The party now needs to cobble together a coalition that will control at least 16 seats in Inatsisartut, or Parliament. She said she was open-minded about who might join her coalition. Many Greenlanders want to use the island's mineral resources, including rare earth metals and uranium, as a way to reduce dependency on a subsidy from Denmark which now accounts for about two-thirds of the island's economy. Developing a mining industry, however, would require inviting thousands of guest workers, a sensitive topic among the population of 57,000. Kleist has headed efforts to attract international investment, but his Inuit Ataqatigiit party adheres to a zero-tolerance policy that forbids mining and selling of radioactive minerals, including uranium. Hammond has said her party was ready to accept uranium mining if the ore contains a maximum 0.1 percent uranium oxide. So far, the zero-tolerance policy could affect only exploration in southern Greenland, where an Australian company has estimated it could extract up to 40,000 tons or rare earth metals per year, with some uranium as by-product. Some potential foreign investors believe Greenland could contain the largest rare-earth metals deposit outside China, which currently accounts for more than 90 percent of global production. Rare earth elements are key ingredients in smartphones, weapons systems and other modern technologies. An equally contentious issue is immigrant labor, which Greenland, which has a population of 57,000, will need if it is to develop a viable mining industry. Hammond's Siumut party has accused the current government of moving too fast, accusing it of rushing through a law in December that allows large mining projects to import labor from places like China. Outsiders, including the European Union, are concerned that China is eyeing investments in Greenland as a way to gain a toehold in the resource-rich Arctic region. Voter turnout was 74.2 percent of the 40,500 eligible voters — an approximate 3 percent increase from 2009.